Black Balloon Publishing, 9781948226011, 128pp. 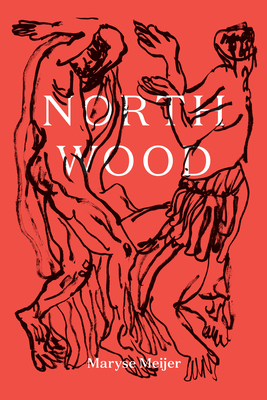 Part fairy tale, part horror story, Northwood is a genre-breaking novella told in short, brilliant, beautifully strange passages. The narrator, a young woman, has fled to the forest to pursue her artwork in isolation. While there, she falls in love with a married man she meets at a country dance. The man is violent, their affair even more so. As she struggles to free herself, she questions the difference between desire and obsession--and the brutal nature of intimacy. Packaged with a cover and end papers by famed English artist Rufus Newell and inventive, white-on-black text treatments by award-winning designer Jonathan Yamakami, Northwood is a work of art as well as a literary marvel. Maryse Meijer is the author of Heartbreaker. She lives in Chicago.